Home » Blog » Traditional Water Heater vs. Tankless Water Heater: Which is Better? Shopping for a new heater can be daunting especially if you have to choose between a tank and tankless water heater. Does it feel like you have to make a million-dollar decision? To reduce the pressure of the buying process, we have pointed out the differences between these two types of water heater. Read this post to learn more! Tank water heaters are a traditional type of heater that can hold up to 80 gallons of water at about 120 degrees Fahrenheit depending on the size. They store and preheat water for daily use such as for laundry, shower, dishwashing and more. Most of them come in big sizes so they would require a large space in your home. A traditional water heater can last up to 15 years with regular maintenance. Modern homeowners in Shippensburg, PA prefer to use tankless water heaters because of a few good reasons. How does it work? The idea behind this heating system is heating water only when you need it. Therefore, you do not need to continually heat the water that is stored in the tank which can cost huge energy bills. The water is preheated as it runs through the heat exchanger. The flame output is adjusted to maintain a specific temperature. You can turn off the heater and turn it on again the next time you need hot water. Need a new heater? You might be confused which of these two types of water heaters to purchase for your home. No worries! 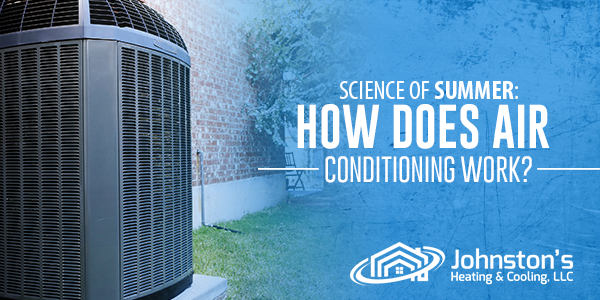 Our specialists at Johnston’s Heating & Cooling, LLC are here to guide you with the buying process. For more information from the experts, do not hesitate to give us a call.